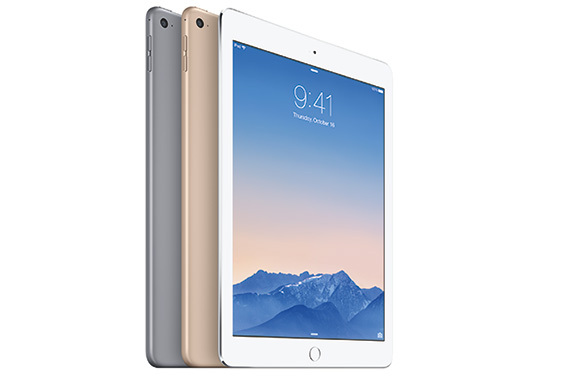 Apple iPad Air 2 made a trip to the popular Geekbench benchmark and revealed juicy bits about itself. The freshly announced full-size tablet from Cupertino sports 2GB of RAM and rather curious 3-core CPU. While 2GB of RAM are hardly a surprise due to a number of leaks that suggested the memory bump, the CPU setup surely is a curious one. Past iPad models have stuck to a dual-core CPU. The Geekbench score is quite impressive too - it clearly indicates that the iPad Air 2 is quite a performer. We will reserve final judgements for our full review, but, at a quick glance, the 4477 score is the highest we’ve seen. Doubling the RAM in the iPad Air 2 is likely a step to accommodate the previously rumored split-screen multitasking. The latter is expected to appear on the slate via a future update. True, if you open up the definition to include hybrids, you're absolutely right. That is a nice piece of hardware. Plus.. you just can't beat the full version of Windows.